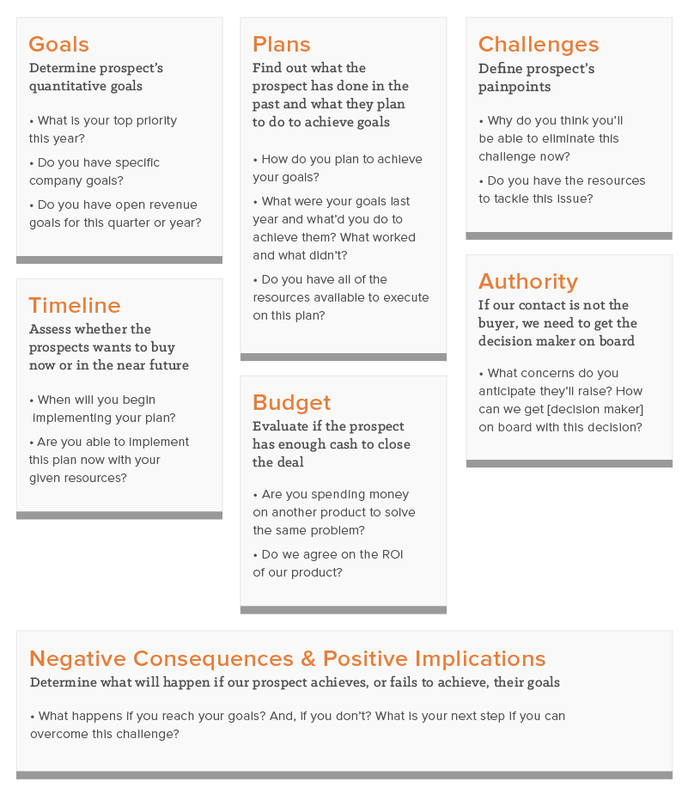 Document your sales process with this free template. Tick tock, tick tock, tick tock. That’s the sound of the countdown that begins each day of every week of every month. It’s the one aspect of sales that just never changes. And those two things often go hand-in-hand. While we (or our team) are racing to hit quota against that clock. But we can save time and maximize our numbers by investing in the right processes, activities, and skills. Truth is, sales is changing -- quickly. As sales conversations grow even more buyer-focused, sales reps have begun developing their own hacks, techniques, and processes for prospecting. Prospecting is the process of searching for potential customers, clients, or buyers in order to develop new business. The end goal is to move prospects through the sales funnel until they eventually convert into revenue-generating customers. What's the difference between leads and prospects? Leads: Potential customers who have expressed interest in our company or services through behaviors like visiting our website, subscribing to a blog, or downloading an ebook. Prospects: Leads become prospects if they are qualified as potential customers, meaning that they align with the persona of our target buyer. A prospect may also be classified as a potential customer who has limited or no interaction with our company, but they would not be considered a lead. Qualifying dimensions: A set of criteria to evaluate the probability that a lead or prospect will become a customer. CRM (customer relationship management): Software that allows companies to keep track of their potential and existing customers at whichever stage they may assume in the sales cycle. Gatekeeper: Person in charge of communicating or preventing information from reaching a decision-maker; for example, receptionists or personal assistants. Decision-maker: The person in charge of making a final decision on the sale. We usually have to go through a gatekeeper to reach them. Objection: A prospect’s challenge leading to opposing a product or service, i.e. budget, time constraints. Closed-won: When the buyer purchases a product or service from the sales rep.
Closed-lost: When the buyer fails to purchase a product or service from the sales rep. Closing ratio: Ratio of prospects that a sales rep closes and wins. As the sales environment matures, we’re seeing a shift from and either/or methodology of prospecting. Reps no longer have to choose between inbound or outbound prospecting. Instead, they must decide how to do both responsibly. The Process: Research takes longer without any prior history with a contact. Less context for us when we’re ready to reach out to establish a connection. Example: “Hi John, I wanted to reach out to you because I’ve worked with companies similar to yours in the past." The Process: Research process is shorter as we already have their contact information and interaction history. Provides us with context about the prospect’s interests or prior behavior, allowing us to develop more personalized outreach. ... with a responsible approach to outbound tactics like cold calling and cold outreach. Because, let's face it -- not every lead you get will be "warm." Our world is now characterized by infinite information, whenever we want. Before a salesperson even has a chance to contact a prospect, he or she is already 57% of the way through the sales process. Yet, salespeople are still cold calling as if buyers have no awareness. Experienced salespeople can expect to spend 7.5 hours of cold calling to get ONE qualified appointment, according to a Baylor University study. It’s time companies and sales reps start paying attention to buyers, leveraging their context, and understanding who they are and what they need. Companies using inbound and responsible outbound sales techniques are better positioned for success in this new realm of buyer awareness. In fact, 64% of teams that use inbound selling reach their quotas as opposed to 49% of sales teams who use only outbound sales. IBM even increased their sales by 400% after implementing their inbound sales program. Now, let’s look at specific frameworks and techniques for how we can adopt an inbound approach to prospecting. 50% of sales time is wasted on unproductive prospecting. We don’t want you to fall into that sales statistic. That’s why we recommend the inbound way and put together a basic framework that applies to all sales processes. But with a twist. As we mentioned earlier, we understand that everyone has their own approach. So we’ve also weaved in personal prospecting tips and tricks from the best salespeople we know. Pick and play with whatever works best for your own sales hustle. This is by far the most important aspect of prospecting. We must ensure that we’re qualifying our prospects in order to improve our chances of providing value to them or their business. Is the prospect's business an organizational fit? This type of qualification is based solely on demographics. Does the prospect fall within my territory? Do we sell in their industry? Does it fit our buyer persona? Say our target market consists of small to medium-sized businesses with anywhere from 100 to 1,000 employees. We should eliminate any potential customers outside of these criteria. Diving deeper, our product or service will naturally provide higher value to a particular profile within that target market. For example, medium-sized businesses consisting of a larger team. Those customers are also more likely to upgrade to a higher tier of our product, providing more lifetime value as a customer. Takeaway: Prioritize customers based on the size of the opportunity, or their potential lifetime value. Have you identified key stakeholders? There are two types of people involved on the other end of our sales process: Decision-makers and influencers. Influencers may not have the power to buy, but they’re often the ones that will be using the product and thus can become our biggest internal advocates. If we get them to rally around our offering, they can make a compelling case to decision-makers before we even speak with them. Decision-makers are, of course, the ones that either approve or reject the buy. We can ask these questions to determine the decision-making process: Will anyone else be involved in this decision? Does this purchase come out of your immediate budget? Takeaway: Keep a working list of influencers and buyers, perhaps mapped out by the organizational structure of the organization. We’ll use this list later, when we’re in the outreach phase of prospecting. Are the prospect's constraints a deal-breaker? Time constraints and budget limitations are often the biggest objections we receive from prospects. Before wasting time on an exploratory call to hear this objection, let’s do some homework beforehand to see if we can filter out potential buyers who clearly don’t have the bandwidth to consider our offering. Takeaway: If we see a prospect has just launched a new marketing campaign, they might not have the time to cycle through an extensive sales process. We should take note of prospects who clearly have their hands tied and revisit them at a later date. Do you have familiarity with the market? We’re likely to be more familiar with certain types of companies, markets, or industries than others. Our pitch and sales techniques are also likely to be more refined with markets we feel comfortable talking about, so we should prioritize these prospects first. Takeaway: Group similar prospects by characteristics such as their service offering, their market, or their industry, and prioritize these groups based on our familiarity with them. Value-added prospects to whom we can provide more value are more likely to buy our offering. For example, if we’re selling basic digital marketing services and we see that our prospect already has a robust web presence, the probability we can create tremendous additional value is low. Takeaway: Classify prospects by the level of value we think we can provide. Look at job boards to find departments in which a company is investing or growing. This can further inform us of their key goals or challenges. If our prospect is a public company we can also look at their annual financial report (dubbed a 10-K) under the “Risk Factors” section to see if there’s alignment between their stated business challenges and our product offering. Do they have an awareness of our offering? Our prospects will likely have varying levels of knowledge about our product or services. The more awareness they have, the more likely they are to see the value in our offering and become customers. If a prospect has visited our website, subscribed to our blog, or posted content about something related to our offering, they probably know a lot about our company or service. Takeaway: Group prospects by their level of awareness so we can take advantage of this familiarity later in the sales process. There are a bajillion sales qualification frameworks. At HubSpot, the reps have coined the GPCTBA/C&I framework (which they vouch sounds more confusing than it actually is). Now we can focus on creating a highly targeted, relevant list. Based on our research, we should have a fine-tuned profile of our target customer, and every company or individual on our prospect list should meet that criteria. Prioritizing our prospects can save us time and ensure we’re dedicating our strongest efforts to prospects that are most likely to become customers. Levels of prioritization will vary between each type of sales organization and each individual salesperson, but the main idea is to create a few buckets of prospects based on their likelihood to buy and focus on one bucket at a time. Let’s break down the qualifying dimensions used in our list above (and any additional relevant dimensions) into percentages between 1% and 100% based on how important they are to the sales process. For example, size of opportunity is probably more important to us than timing in terms of closing a deal, so it would receive a 70% whereas timing would receive a 5%. 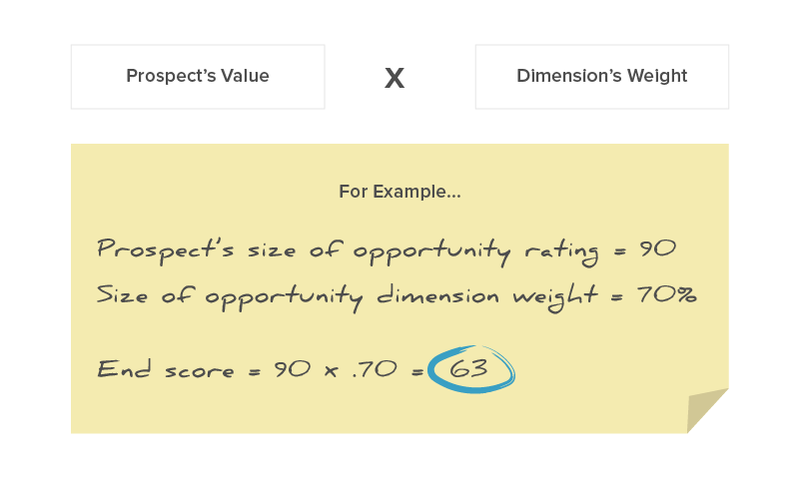 Now we can assign a value between 1 and 100 to these dimensions for each prospect in our list. Once we complete this step, we can multiply each prospect’s value by the percentage weight we gave to the dimension. Add up these dimension scores until each prospect has atotal score. And now our entire list is prioritized. P.S. Lead management software does this automatically. The end goal of this step is to gather in-depth information on our prospects in order to hone our pitch and personalize our outreach. So first, we must determine what our prospects care about. Find their social media presence. Do they have recent updates or a new post? Once we’ve learned more about our prospect’s business and role, we need to find a reason to connect. Do we have mutual connections? Has there been a trigger event? Have they recently visited our website? If so, which search terms drove them to our site? Which pages did they look at? If we want to get more high-level with our prep, we can create a decision map to outline our prospect's options and end-goals. This will help us better handle any objections and personalize a pitch that resonates with their primary objectives. We could also conduct a competitive analysis to determine how we can better position our company's service or product within the industry and how we can combat prospects' objections. Kyle Van Pelt reads 30 articles in 30 minutes every day and uses the content in his email outreach in a tailored, relevant way. And he achieved a 90% response rate. Open each interesting post in a new tab. Read the most interesting posts. After skimming through all of the options, narrow the final list down to the most interesting posts. There will typically be between 20-30 posts left. We should put ourselves in the prospect’s shoes as we’re reading these articles, searching for pain points or trigger events. Use the most interesting, relevant information we find in the articles to tailor an email or a call to our prospect. All of these questions will help us craft more context around our prospect’s situation which will help us when we’re ready to make that initial contact. Now click “Create new list” on the sidebar. Name the list and then set it to “Private” so only you can access it. Now add the prospects you want to track to your list. Just search for their accounts, click the gear icon next to their profile picture, and then click “Add or remove from lists.” Note: You may want to group your high priority prospects together in one list, followed by your medium-priority prospects and then low-priority. 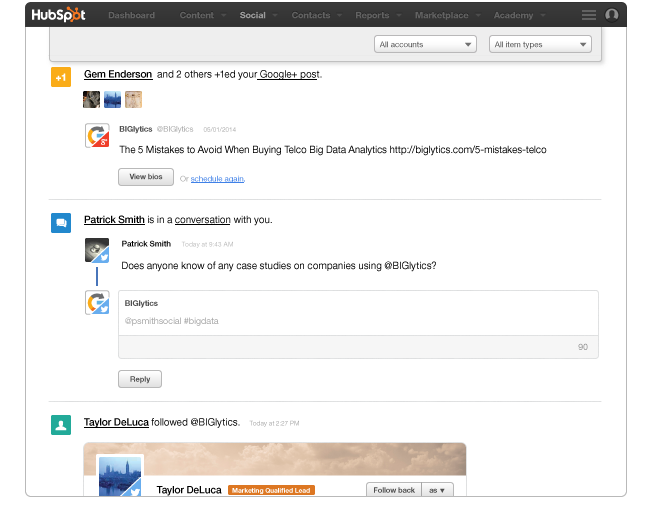 Now that you’ve created the list, we can easily monitor our prospects’ activity using a tool like HubSpot Social Inbox. HubSpot’s Social Inbox color-codes your customers and leads and helps you prioritize your engagement. You can see what type of content resonates with your prospects by tracking their interactions, conversations, and new follows. Watch as this feed populates with prospect activity. We can check this every morning and afternoon to see if any trigger events have occurred that would provide a valuable opportunity for us to connect. Whether calling or emailing, our outreach should be highly tailored to our prospect’s particular business, goal, industry. Personalize. Reference a specific problem that the prospect is encountering with a specific solution. Stay relevant and timely. Ensure the issue a prospect is trying to solve is still relevant to him or her and their team. Be human. No one likes to communicate with a professional robot. Adding in details like wishing someone a happy holiday weekend or by conveying how awesome their company’s product is arereal touches that allow us to establish a connection on a deeper level. 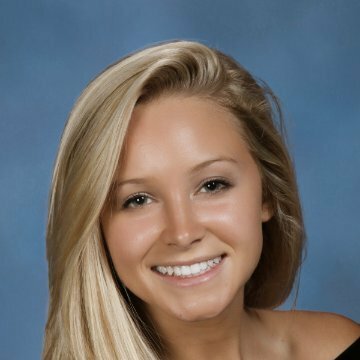 Help, don’t sell. Provide value and ask for nothing in return. This process isn’t about us, it’s about THEM. For example, instead of scheduling a follow up meeting, we could offer to conduct an audit on their digital media presence and get back to them with our findings in a week. Keep it casual. Remember that this is just a conversation. Stay natural and as non-salesy as possible. The key to prospecting, and sales, is that we’renever selling. We’re simply determining if both parties could mutually benefit from a relationship. Batch prospecting sessions for 2-3 hours at a time and take a quick five minute break between each hour. Get an egg timer, and set the timer on a countdown for 20 minutes, 30 minutes, or 45 minutes, depending on how much time we scheduled for the call. End the call on the timer’s beep, use 5 minutes for following up, 5 minutes for updating notes and administrative tasks in Salesforce, and then use 5 minutes to prep for the next call. In terms of establishing contact, we must decide between email or phone communication. Some of us will initially jump on the cold email approach while others will dive into the cold call. This strategy will vary based on what each salesperson feels most comfortable with, but let’s quickly review pros and cons to both. Successful first touch strategies often incorporate both approaches to take advantage of the pros and minimize the cons. Jeff Hoffman pioneered the BASHO sequence which advocates a combination of voicemail and email messages to gain leverage with prospects. Alternating between voicemail and email, with unique messaging each time, this technique gives prospects the opportunity to consider our offer, conduct their own research, and respond at a time convenient for them. Engaging subject line: The subject line has to pique the prospect’s interest while avoiding cliché hooks. Personal opening line: We should begin our cold email by saying something about them, not about us. After all, this process is about finding the prospect’s pain points and determining a way to add value to their business or processes. Creating a connection: Now we have to make the connection. In our opening, they learn why we’re reaching out to them, but now they need to know why they should care about whatwe do. Jill Konrath also suggests scheduling a short 5-minute meeting to get our foot in the door with prospects whose calendars are particularly swamped. Establish rapport: We shouldn’t shy away from personal conversations, like asking how a prospect’s weekend was or what team they’re rooting for in the game tonight. These intimate touches help us develop a more meaningful relationship with prospects and enhance our likeability which, hopefully, means a prospect will be more likely to buy from us. Leverage pain points: Dive into their pain points during the call. By the end of the conversation, we should know all of their primary business challenges and the underlying causes associated with them. Once we have an understanding of these key issues, we can better position our product or services to solve them. Create curiosity: Ask questions about their business. Ask more than tell. This conversation is about them and understanding their needs and problems. The less we talk about our business and product, the more our prospect will be interested to hear the final pitch. Keep notes throughout this process to assess what activities generated value for the prospecting process and which wasted time. This self-reflection will help us improve our calling techniques in the future. Thanks for your email, I just closed your file. I have a quick question as a final follow up. Why aren’t you interested? Was it something I did? If there is any way I can improve, let me know. I’m always looking for input. 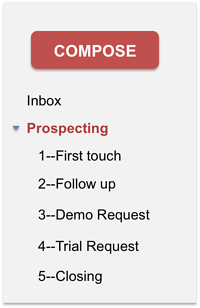 One of HubSpot's sales managers uses Gmail labels to visualize his prospects in the sales funnel. For example, after an initial discovery call, he sends a follow up to his prospects and labels their response according to the action required of the account under the corresponding inbox. This allows him to easily shift gears when contacting cold prospects versus re-engaging old prospects or moving warm prospects further down the funnel. Finally, to boost our prospecting productivity through each of these stages, we can utilize the following sales prospecting tools. We can use Twitter to get an idea of what our prospect finds important. By showing them support through a retweet or favorite, or even engaging them in conversation, we can show them that we have their interests, challenges, and needs in mind. Because we’ve already opened the relationship through a personal medium like Twitter, we’ll have a greater window of opportunity to adjust our pitch. How to use it: To inform the sales process. Use Twitter’s Advanced search to quickly sift through a prospect’s feed and find what’s important. For example, if we see that a prospect posted a question about our product, it’s a perfect opportunity to respond. HubSpot’s CRM allows users to keep track of sales activity and source new prospects. How to use it: Surface warm prospects who have already visited our website. Store contacts and companies, track deals, and easily manage tasks such as follow ups and meetings. Connects the web apps you use to automate tedious tasks. How to use it: Search the integration library to connect the apps and web services you use every day to your HubSpot account. Use email tracking to know when prospects open emails, click on links, or open attachments. HubSpot Sales also provides detailed contact information right in your inbox and allows you to schedule emails to be sent when you know your prospect will be most likely to open them. How to use it: If we see that a prospect is viewing an email we sent two weeks ago, we can follow up with information related to what they’re viewing, or email them to set up another meeting. This provides us with a feed on the company’s recent updates to help discover industry news, marketing campaigns, events, product launches, and recently published content. How to use it: We can reference these updates as trigger events to engage our prospects in real conversations. Google Alerts allows us to track web mentions on a company’s name, product, competitors, or industry trends. How to use it: Customize alerts to send real-time, daily, weekly, or monthly updates on whichever keywords are relevant to our prospects. We can use these to tailor our outreach. Datanyze tracks competing technology providers and informs us of companies who have started or stopped using their solution. How to use it: Connect with prospects after they stop using a competitor’s product to catch them while they’re on the market for a better offering. This is an extension for Chrome and Firefox that lets us keep track of local or foreign time zones in our status bar. How to use it: Manage time zones and never miss a meeting due to a misunderstanding between PST, EST, CT, etc. Stay organized and efficient by taking notes in Evernote which syncs notes through their mobile, desktop and web apps. How to use it: Use this tool while on an exploratory prospecting call to keep track of pain points, company details, and action items. Prospecting doesn't have to be a pain -- and it doesn't have to be annoying for your prospects. Adopt a few of these strategies into your workflow, and enjoy better prospecting and better results.